Realm of Horror - News and Blog: THE SHINING - in UK cinemas this Halloween. 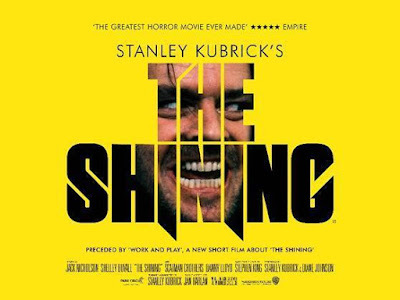 Distributors Park Circus celebrate this coming Halloween with a re-release of Stanley Kubrick’s classic "The Shining". Screening in over 100 UK cinemas – for one night only, on 31 October – audiences can enjoy this remarkable thriller on the big screen once again at cinemas throughout the UK, plus selected European and Latin American territories. Accompanying the film on its release to cinemas is a bonus seven-minute documentary, Work & Play: A Short Film About The Shining (2017), directed by Matt Wells for Park Circus. See the Shining on the BIG screen this Halloween.